Bruce Springsteen and The E Street Band may have just announced a big tour to celebrate the 35th anniversary of The River a few days ago, but Springsteen is already planning for the future. Instead of recording another album with his longtime backing band about driving old cars, falling in love, and being sad about stuff, though, he’s going to record an album by himself about driving old cars, falling in love, and being sad about stuff. 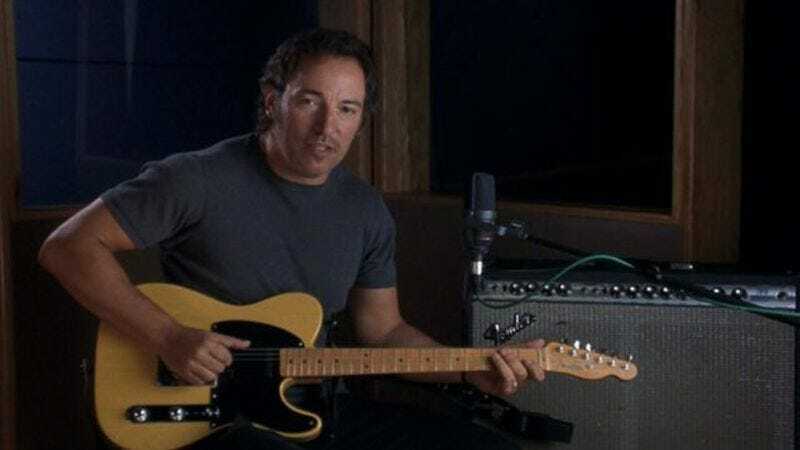 That comes from Consequence Of Sound, which got the news from an interview Springsteen gave on SiriusXM’s E Street Radio. During that interview, Springsteen explained that he’s working on a new album that’s “more of a solo project,” and he isn’t planning to bring along the E Street Band when he tours behind it. That was apparently part of the reasoning behind the 24-date River tour, since Springsteen didn’t want to have too much time in between shows with his full band. There’s no word on when Springsteen’s next album will be released, but it’s probably a ways off since he still has to go on this big tour first.